Greetings from San Francisco and bring a jacket! What started out as an ordinary trip to Newark Airport, got progressively worse as the day went on. My 9.20 am departure on American Airlines to Dallas, continuing to San Francisco, finally got in the air 1 hour and 55 minutes late because there was no plane!!! American decided to fly one over from JFK. No wonder they're bankrupt, this cost them a fortune! DFW would accept it since American can't pay their bills. I wound up at Urban Tacos, a Mexico City inspired fast/casual outlet. If you like tacos al pastor, seek them out the next time you're in Dallas. Finally arrived in San Francisco almost 4 hours late, which caused me to lose an entire day of vacation, including the San Francisco Streetfood Truck Festival (in the Mission) and the Farmers Market at the Ferry Building. By the time I got to my hotel, both events were over. Hog Island Oyster Co. at the Ferry Building is a very busy restaurant serving local oysters as well as others from the Pacific Northwest. Being from New Jersey and used to decent size Blue Points from Long Island (not really fond of these) I was surprised to find the West coast oysters are very small; about the size of a quarter! Of course, you don't get filled up on even twenty of them so you have to have a local beer and the San Francisco version of New England clam chowder. The San Francisco version contains a hand full of small clams which have to taken apart by the person eating them. It's like eating lobster. By the time you do all of the work, you're too tired to eat! The East Coast version requires less work and more time to enjoy! Hog Island Oyster Co. faces the bay with with views of the Bay Bridge. Ferry Building; Hog Island Oyster Co. is on the far right. This view was taken from the Golden Gate Ferry. not-so-home fries, I thought were exceptional as they were prepared with rosemary, giving them a unique taste. Another breakfast stop was at HRD Coffee Shop on 3rd Street. If you want a truly Korean/Japanese/Chinese breakfast experience you should visit this place. If you're seeking a traditional American breakfast of eggs on a platter, you will not find it here. Most of the items are burritos or sandwiches. Order at the counter from the large menu board and your food will be brought to your table by a non-english speaking Chinese girl. Never having kimchi before, I went full throttle and placed my order for HRD's signature spicy pork and kimchi burrito. Kimchi is described as Korean sauerkraut. It also contains crunchy cucumbers. It was suprisingly good, after realizing there was a thin sheet of paper between the foil and the burrito. As a beginner, this was just a silly mistake. My friend, very disappointed by the non-traditional offerings, ordered a breakfast burrito containing eggs, ham and potatoes. Both were quite large and filling. Breakfast Burrito with ham, eggs, potatoes. A 35 minute ferry trip across the Bay to beautiful Larkspur took me to the Marin Brewing Company. A highly anticipated lunch trip to try their spectacular brews fell short by poor service. The beers and food were all good, but for an after lunch seating at 1.30 pm, the time spent waiting for the beer and food to be delivered was lengthy to say the least. The waitress explained that there is a high turnover of employees for some reason and the customers suffer. I will go back. the imposing San Quentin Prison stands as a portal to welcome "visitors" and commuters! Standing as a landmark on California Street for more than 160 years, is the Tadich Grill. Before I could finish asking a waitress at another restaurant the best place to go for Chipino, she finished the question by practically screaming out; "Tadich!" I also heard good things about other well known seafood institutions, but she insisted on the Tadich Grill. I have read reviews of their surly waiters, which I found not to be true. Greeted at the door immediately by the cashier/maitre d/host guy, I was told there would be a 15 minute wait in the packed house...and it was only 4.30, but it was also happy hour. I didn't mind the wait as I took in all of this "old school" San Francisco restaurant institution, drinking a local craft beer with the locals and not so locals at the beautiful bar, wooden booths and pressed steel ceiling. The specialty of the house is chipino; a tomato based seafood stew with mussels, clams, shrimp and pieces of fish, served with garlic sourdough bread. There is no need for an appetizer as this is a HUGE portion. A full week in San Francisco and the East Bay was enjoyable as usual if you can stand going through a complete year of seasons in 1 week. I watched as commuters from the east and south carry two jackets to work with them as the temperature and conditions from there home to work can vary as much as 30 degrees (at least in mid August). 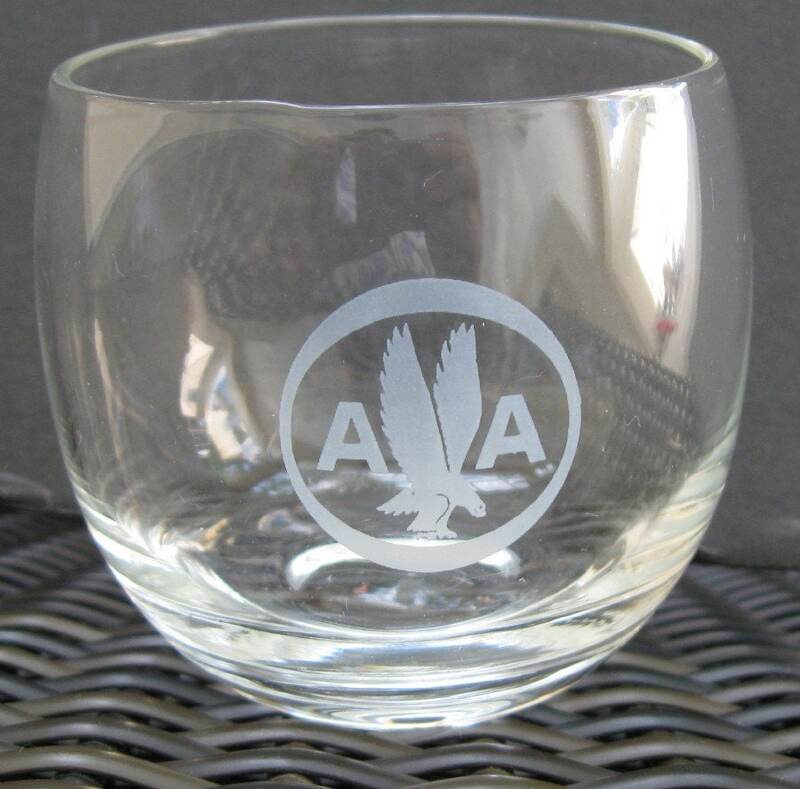 Made it back to Newark on American without any issues, just couldn't get a AA emblazoned highball glass from anyone on board!